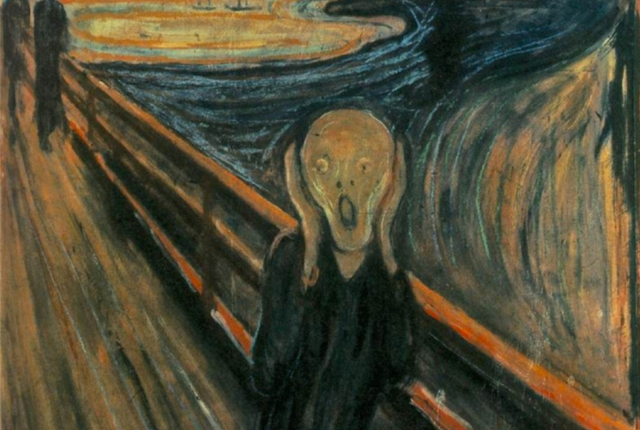 unable to scream into a void of space that cannot hear me. This is because I have laryngitis, again. While teaching I would lose my voice several times each year. It is largely an overuse injury caused by reading too many good novels aloud to my students (something currently frowned upon by the system). 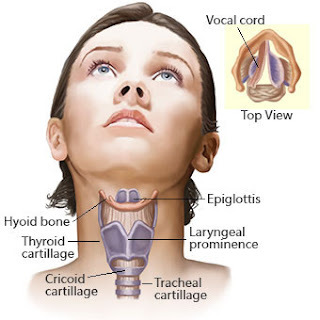 Once my voice was vulnerable, every case of the sniffles moved into my throat and stifled me. One can teach well-trained high school classes with instructions on the board. Not so in middle school, at least not in the rather chatty atmosphere I allowed. Since I never liked to face my students angry, when my voice left, so did I. It was a relief when substitute requests became computerized because telling someone about laryngitis one the phone was literally painful. 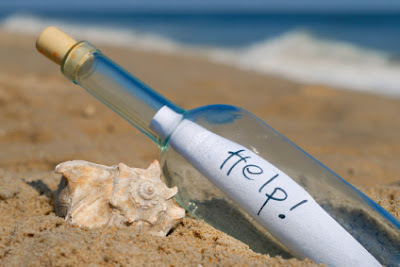 Being voiceless is helpless, frustrating, isolating. Even if I didn't worry about contagion, I would hesitate to go out right now because I would have to exchange pleasantries with people at the store, the gym, or the aquarium. Right now it's easier to talk to my husband and my kids over Facebook Messenger than in person. That isn't terribly odd for me because I've always been more comfortable writing than talking. Hence this blog. But this is a somewhat one-sided conversation. I'm not really sure who is reading--my husband, mom, sisters, a neighbor, you. This really feels like a message in a bottle sometimes. 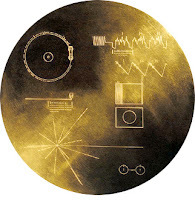 In 1977 Earth sent out two messages in bottles, actually on golden records, aboard the Voyager Space Probes. http://voyager.jpl.nasa.gov/mission/ In addition to sending back information about our solar system, both probes carry records with basic information about earth in case someone finds them. So far there has been no response. Despite, or because of all the communicating we do online, a lot of our messages seem to have been shot into space or dropped into the sea. 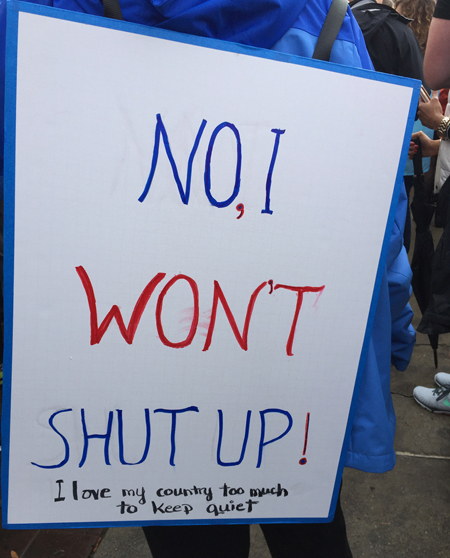 Metaphorically, I think many of us feel like our voices are lost--drowned out by the crowd or too small or unimportant to be heard. Some respond by yelling louder or standing on soapboxes. Many give up and stop talking. I could get political with this now (your vote does matter) but that really isn't where my thoughts are headed. I have a lot of experience sending out communication without any idea if or how it will be received. While raising teenage sons, all information not connected to food or computers was met with non-committal grunts. As a teacher it felt like every day I would carefully explain the day's activities in front of the classroom only to see my students turn to each other to find out what we were doing. Now I write, tweet, Facebook, and email my congressmen wondering if my communication will result in even a checkmark made by an intern. But whenever I literally shout to the sky, I have always feel heard. Faith doesn't come easily to me, and I am skeptical of a lot of things I learned in Sunday School. But no matter how logical arguments to the contrary may be, I have never been able to doubt that there is a God, that He listens and He loves me. 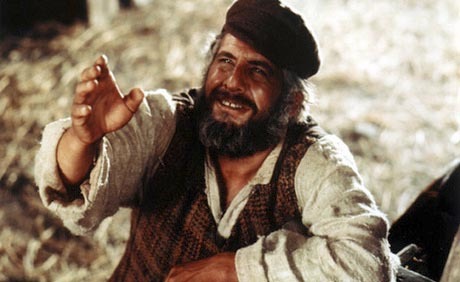 I don't do a great job of getting on my knees morning and night, but I run a constant Tevye-like conversation throughout the day and it never feels one-sided. 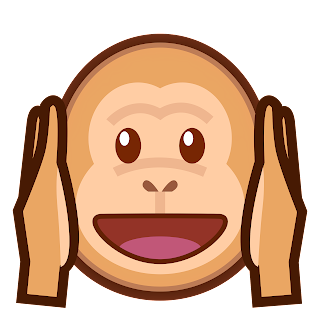 So, though I may question the reality of Orrin Hatch, the benevolence of Jason Chaffetz, and sometimes even the existence of you, dear readers, I always know there is Someone listening. 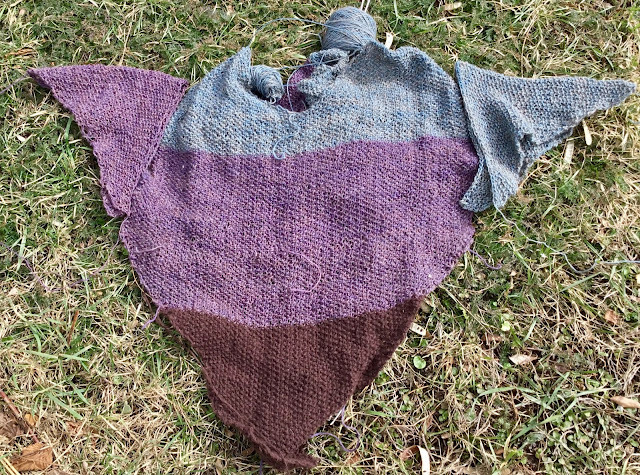 This will soon be an amazingly soft warm-weather sweater. By the time I'm done knitting for the night, it will start looking like a sweater. This photograph cannot do the yarn justice. 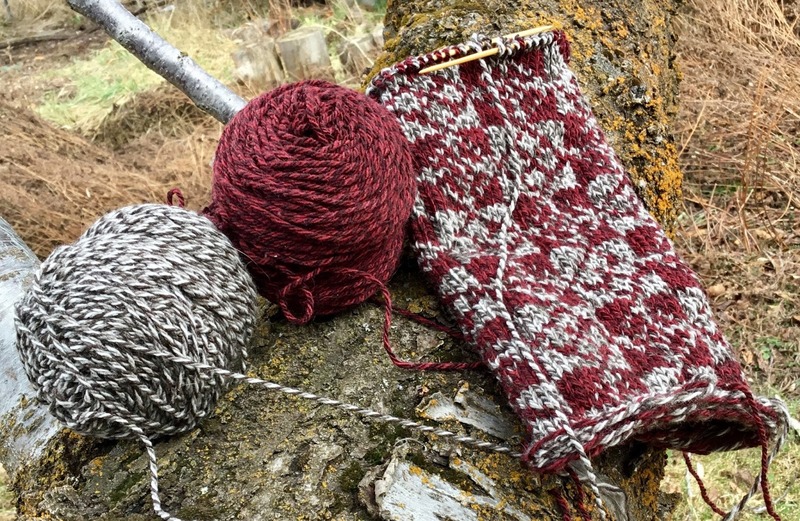 The brown is recycled wool and Angora from Renaissance Yarns. The blue and purple are wool/alpaca/Angora by Jill Draper. Next priority is the project I showed you last week. This will eventually be an amazing circular shawl. The mixed color is my homespun wool. 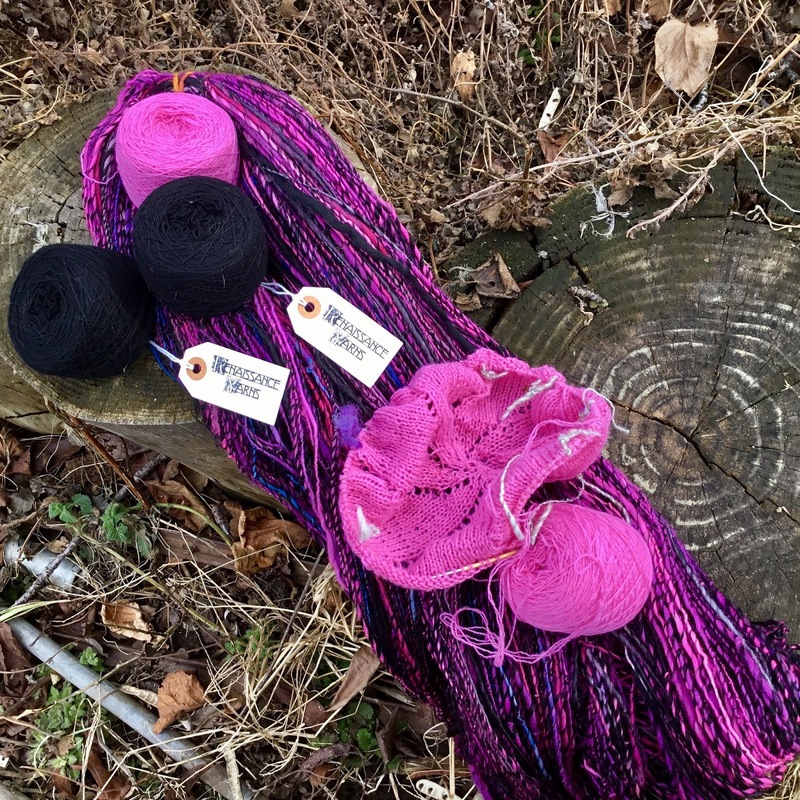 The pink and black is 100% recycled cashmere--once again by Renaissance Yarns. 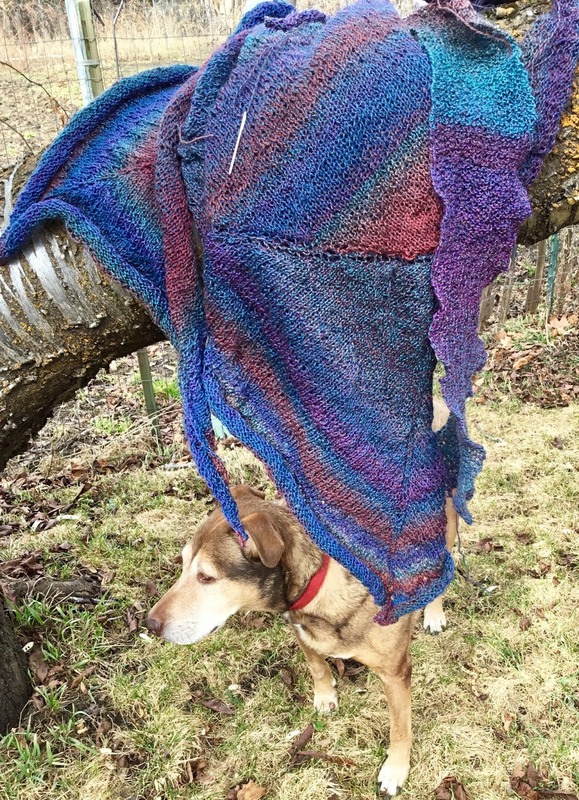 Finally, Bingo helped me photograph what will eventually be a skirt. I have been working on this since before Christmas. I am not small and I wear my skirts long. If it is ever finished, it will match with almost half of my tops. Of course there are many things for sale in my shop. Today, Feb 17, is Random Act of Kindness Day. I will be kind to myself by watching lots of nature shows, but will ponder what else to do. 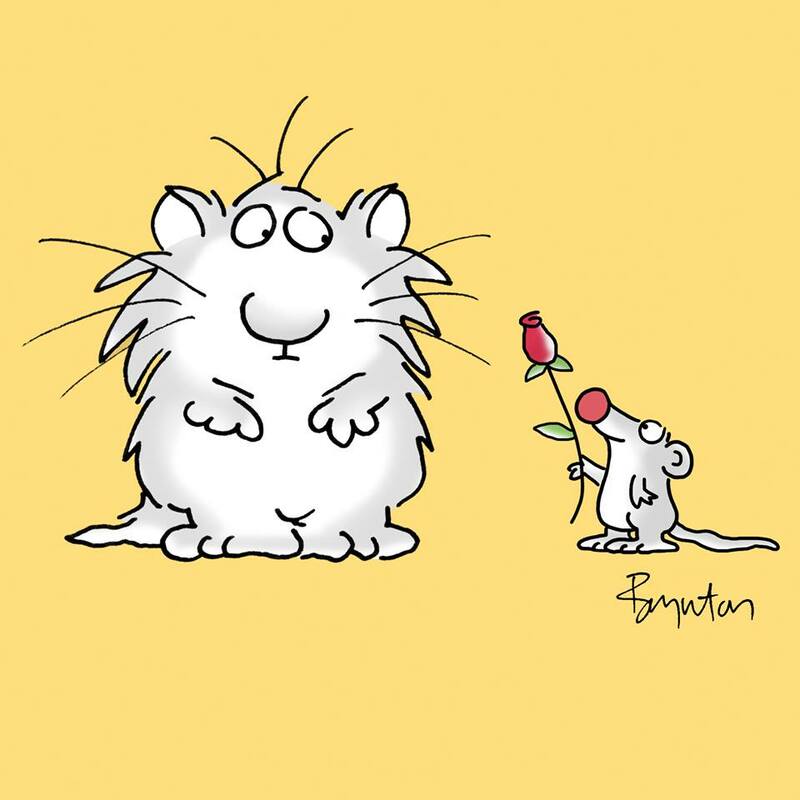 I consider Sandra Boynton's artistic postings on Twitter and Facebook to be acts of kindness in themselves.